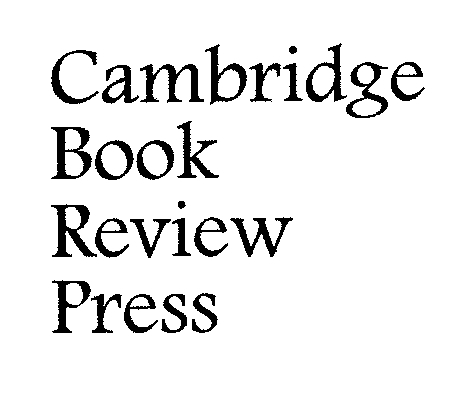 Fisherman’s Beach, originally published in 1962 by St. Martin’s Press, has been reissued in a 50th Anniversary ebook edition from Cambridge Book Review Press. The novel follows the struggles of a Lake Michigan fishing family in Two Rivers, Wisconsin in the late 1940s. Germaine LeMere, the eldest of five sons, has returned home after an extended stay in Europe following the war. A simmering rivalry between Germaine and his brother Roger over Germaine’s former sweetheart, Ginny Dussault, erupts in violence in this excerpt from Chapter Eleven. The accompanying photos were taken in Two Rivers by photographer Thomas J. King especially for the 50th Anniversary Edition. He stayed in the kitchen, drinking coffee long after Mama had gone to bed. So Ginny Dussault had been in an accident. She had been with some sailor from Manitowoc and their car had smashed into a telephone pole and he had been killed. He sat there for a long time, smoking and staring at the kitchen clock. The thought came to him that all the years he had been away, the little clock had been marking off the minutes, the hours, the days, the months. Outside, the fisherman’s beach had been eroding and washing away in the eternal waters. And inside, the LeMere family too had been eroding and one by one they also would wash away. The Old Man, who had stood up to everything that nature threw at him for a lifetime, could not stand up to the snakes from the sea. They would beat him in the end even as they would beat Old Dussault. And Roger. And Ginny. The fisherman’s life was as doomed as the lake trout. And the clock kept track of it all. How many times Mama and the Old Man must have sat in this kitchen, drinking coffee and staring at the kitchen clock. He heard an engine outside and saw the headlight beams swinging in beside the house. Then the door opened and the soft swishing sound of the breakers filled the room and Roger came in. His handsome face was dark and twisted, his body set and braced in the doorway as though he expected the floor to pitch and roll. His deep voice smashed into Germaine’s ears like a balled fist. Germaine got to his feet quickly. He held the door open, waiting. He’d been drinking, Germaine knew. Just enough to be sly drunk, sneaky drunk. Germaine looked into the wild bloodshot eyes and he knew that Roger wanted to do a lot more than talk. And walking away from him now wouldn’t do any good. Germaine sucked in his breath and walked quickly through the open door. He followed Roger’s heavy movements down the deserted beach, the whisky smell sharp in his nose. Roger led the way around the gear shack to the side away from the house. He turned and leaned on the hull of the upturned dory that rested on two sawhorses for calking. His face in the moonlight had an unreal, metallic cast. Roger, the iron man. No, he didn’t really want to talk. Germaine waited. Roger’s hand moved like a plunging hawk, slapping the cigarette out of Germaine’s mouth. Germaine stared at the drunken face. Roger’s voice dropped like a shift of wind. Roger hit him then, full in the face, knocking him backward. Before he could regain his balance, Roger picked the dory from the sawhorses and flung it. The little boat caught Germaine in the stomach, smashing him to the ground, crushing the wind out of him. He twisted away, crawled free and there was Roger hurtling, driving him into the sand like a dropping pile driver. He was like a wild sea now, his arms rising and falling like waves, drowning Germaine in a relentless undertow of fury. His fists pounded into Germaine’s face like claw hammers and came away slowly and red pinwheels burst like flares in Germaine’s vision. He knew that Roger was capable of killing him now. He spun awkwardly away and struggled to his feet. He blinked rapidly, desperately trying to focus. Roger rushed him then, and Germaine ducked, flipping him over his hips, guiding him into the ground. Again, Roger rushed and again Germaine flipped him and Roger landed, crumpled on his back. The wind was being knocked out of him and the fight too. He was not so fast getting up now, but he was still coming, his mouth half open, his breathing deep and tortured. He charged again and Germaine slammed the heel of his right hand like hatchet strokes into Roger’s left arm. Then Roger bent and seized the dory oar in his right hand and, sweeping it in a wide swath, advanced steadily on Germaine, backing him against the wall of the gear shack. The oar swung back and forth like a scythe and then Germaine ducked and it slammed into the gear-shack wall and broke off. Roger held the broken shard like a club. He lunged and Germaine side-stepped to the right and slammed the heel of his hand into Roger’s neck. Roger dropped face first to the sand like a dead man. Germaine wiped the blood from his eyes with his forearm, and snuffled and blew the blood out of his nose. Then he knelt beside Roger and rolled him over and looked at him. He rubbed Roger’s wrists and patted his face and watched for him to come around. For one brief moment Germaine felt that his judo chop had been too hard and Roger was dead. But then he managed to catch the pulse, and after a long while Roger’s eyes flickered open and he was conscious. Roger’s gaze was steady, his face unmoving. Roger’s look was that of a dead man. Gently, he massaged Roger’s neck. Then he stopped and extended his open right hand. The expression in Roger’s eyes didn’t change and then his lips worked cruelly and he spat into Germaine’s outstretched hand. Germaine looked into his brother’s face for an eternity and then Roger bolted upright and stumbling, staggering, he started down the long sand dune to the flattened beach. At the water’s edge, he squatted like some sort of animal. He licked his wounds and cleansed himself, the blood and tears and hatred washing away in the cold biting waters of the inland sea. Reprinted by permission of Vince Vukelich and the Vukelich estate. George Vukelich (1927-1995) was a beloved Wisconsin author and long-time Madison newspaper columnist and radio-host. Read Doug Moe’s Foreword to the 50th Anniversary ebook edition of Fisherman’s Beach online in Madison Magazine.